Not only is Lapis Lazuli is a great crystal for opening up your Throat Chakra, it's also a great stone in increasing motivation and helps build up energy reserves. Lapis Lazuli can help with opening up to others, social ease, encouraging extroversion, dissolving aloofness and alienation. It can help you deal with negativity towards yourself and others. It can help bring calm and loving communication when dealing with temperamental teenagers. If you are working on self acceptance, Lapiz can assistant you in seeing the truth within yourself, because until you can really see the authentic you, change cannot happen. Lapis Lazuli can also help in releasing any feelings of guilt. If you are working on any Past Life Regressions, Lapis Lazuli can assistant you in dealing with any deep feeling issues that you are looking to resolve. 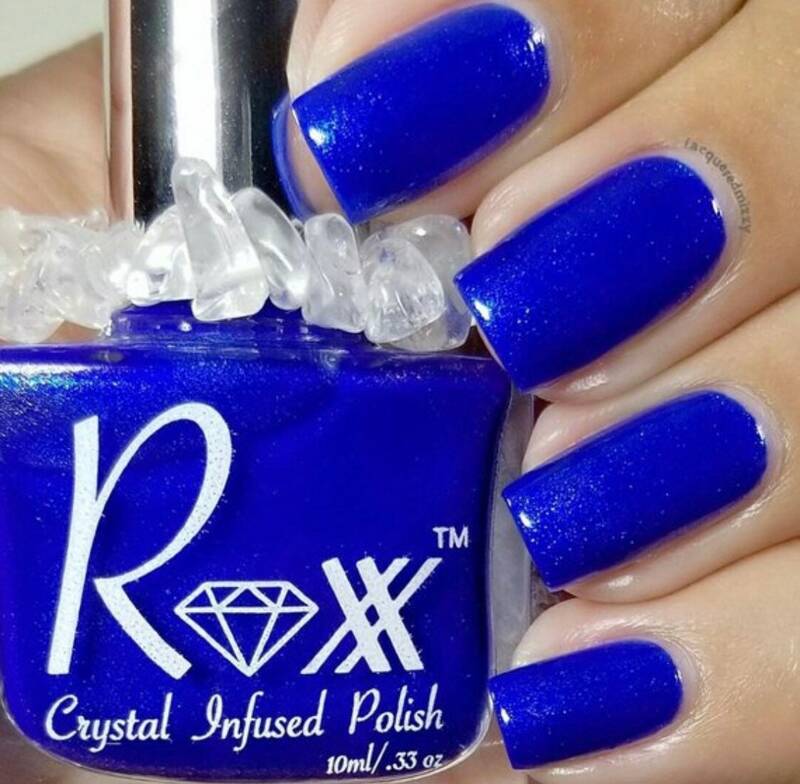 Gorgeous polish! And, the BEST customer service!